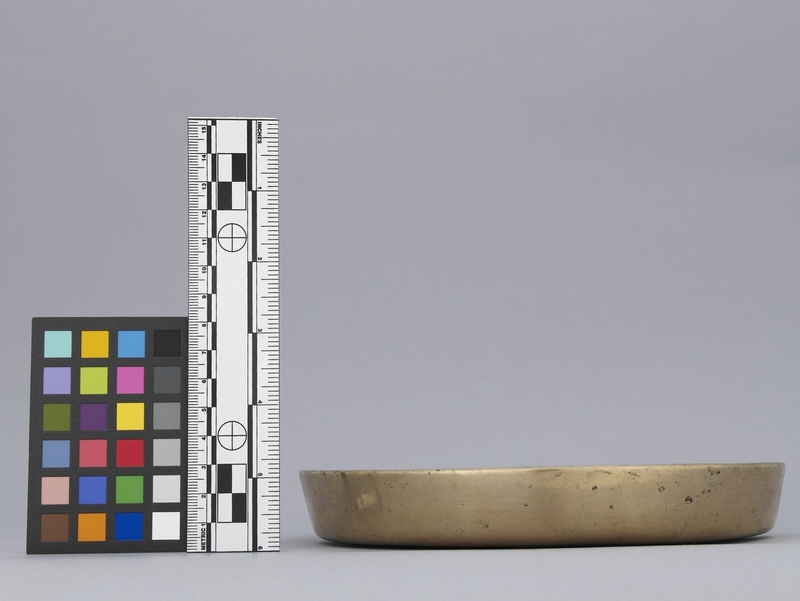 Item number Ed1.174 from the MOA: University of British Columbia. 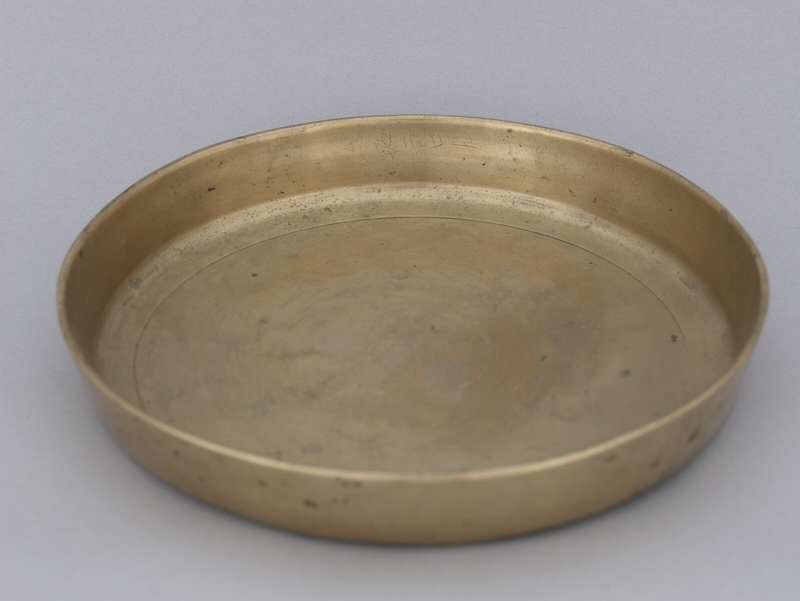 Very shallow round brass bowl with flat base and straight, slightly flared sides. Single circle indented on inner surface at bottom, about 1.5cm. from edge. Outer surface shiny ; inner surface has rather dull patina. 4 faint characters are scratched on inside rear rim. Used to hold fruit offerings for ancestor worship. 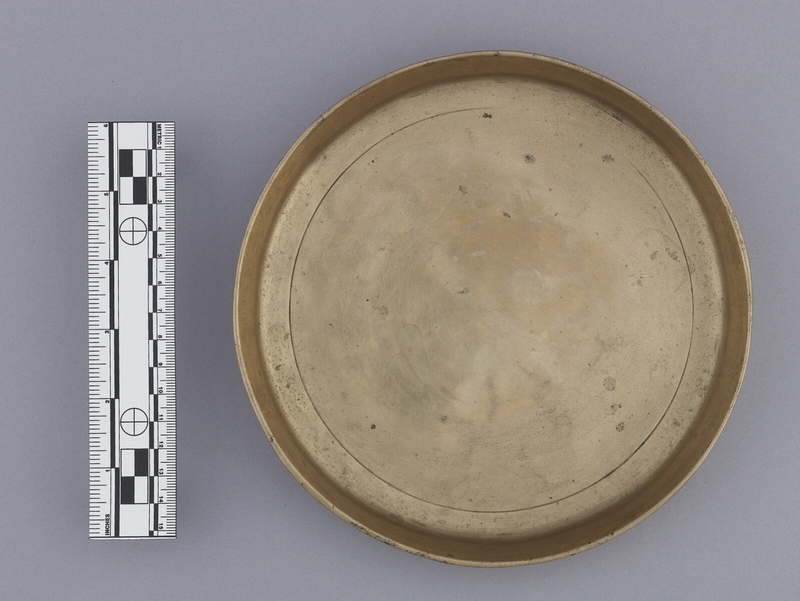 Brass serving and eating utensils are commonly used by wealthy Koreans. Bowls of this type are used in making offerings to ancestors, in which dishes with various foods are set out in front of the cabinet containing the ancestral tablet. Such a ceremony is held at new year's, at the 1st and 2nd anniversaries of a death and on the 15th day of the 1st and 8th months. Ancestral worship derives from the influence of Confucianism, which was introduced to Korea before the 3rd century.